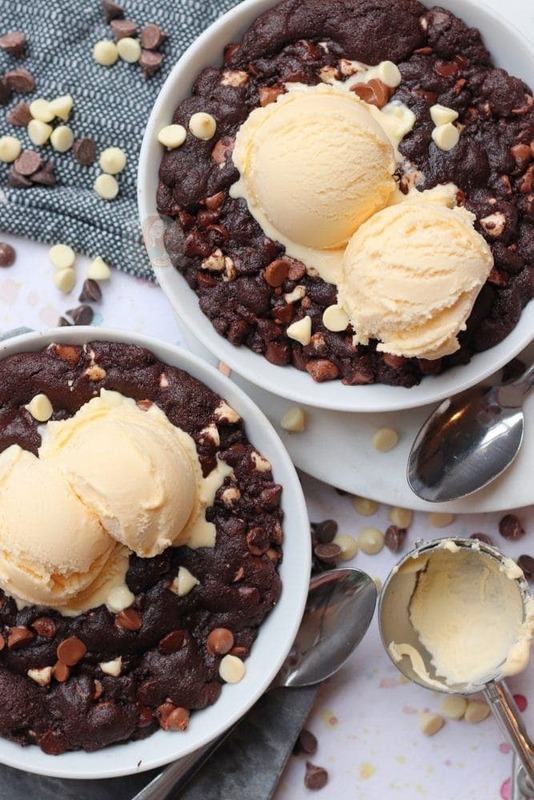 Easy and DELICIOUS Triple Chocolate Cookie Dough Desserts for two! Well, let’s just start this by saying that I LOVE COOKIES. Honestly, probably one of my favourite treats in the world, and potentially beating cheesecakes. I know, that’s a bit of a shocker, but genuinely I don’t think I have ever met someone that doesn’t enjoy a cookie every now and again. The good things about Cookies are that you can get a classic Cookie, or Cookie Bars, or indulgent and insanely epic desserts such as this one. Hello, my idea of heaven in every single bite. 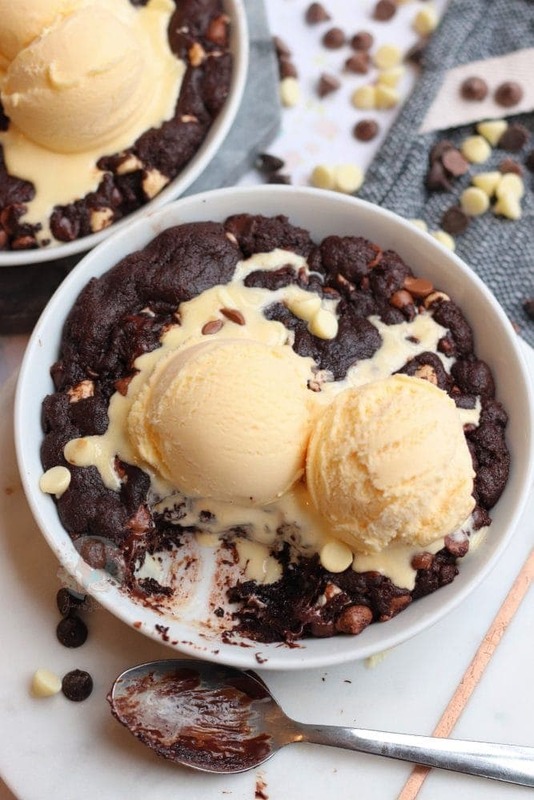 Gooey, delicious cookie dough served with ice cream and oodles of chocolate. Triple Chocolate in this case. (Insert the dribbling emoji here because it is NEEDED). 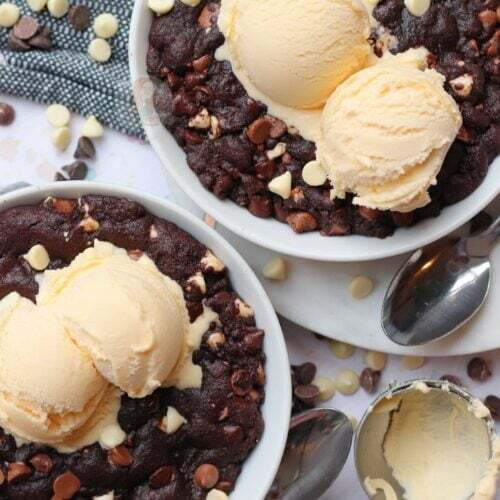 Years and years ago, I posted my Individual Chocolate Chip Cookie Dough Desserts post, which is meant to replicate the kind you can get from Pizza Hut. 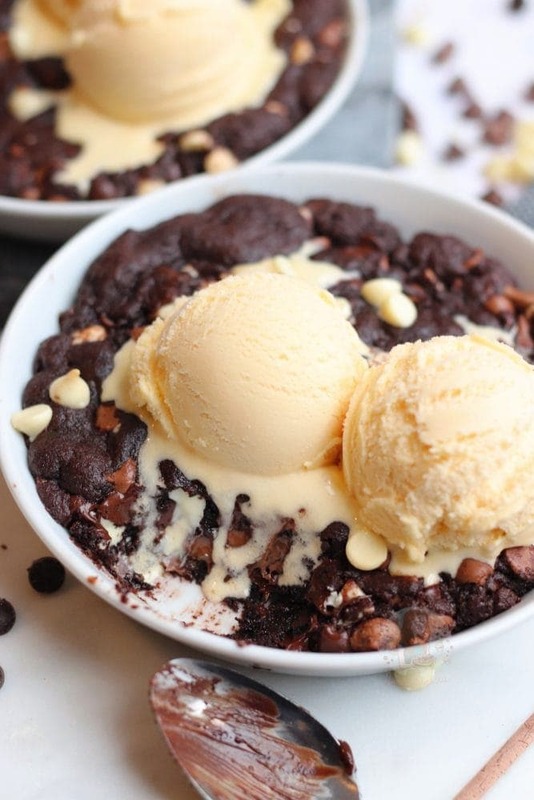 This might only be a UK thing, so sorry if you have no idea… but the Pizza Hut here do a dessert that essentially is molten cookie dough, which arrives with a little pot of ice cream. The thing about making it at home? You know exactly what has gone into it, and usually, it turns out to be cheaper in the long run. For me, these are ingredients that I always have at home. 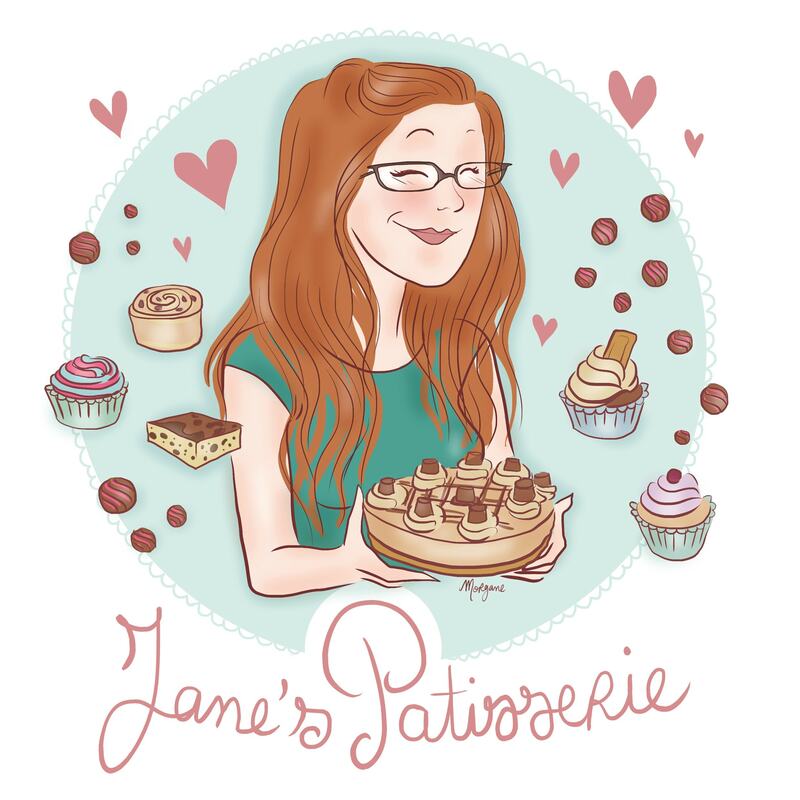 I realise that for some people you might not, but in general, they are day-to-day baking ingredients! Also, it means you don’t have to go out and pick it up or pay for delivery! 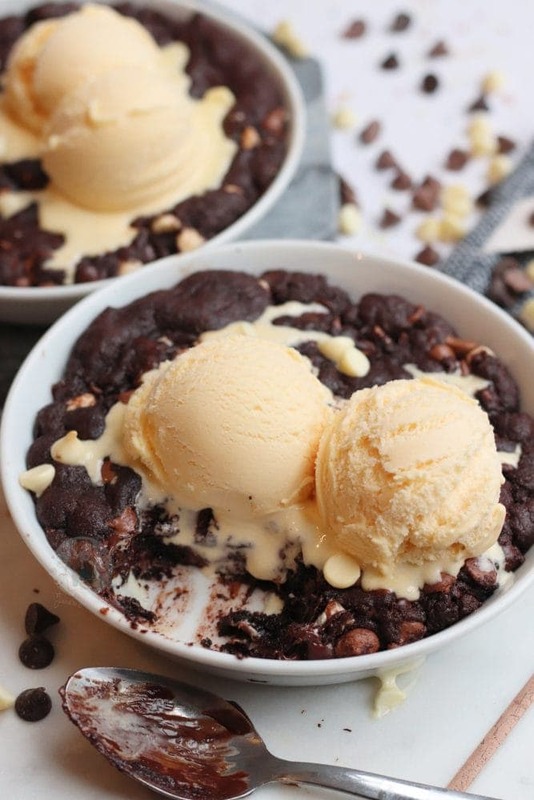 For me the Individual Chocolate Chip Cookie Dough Desserts is insane, but I wanted something that was even more chocolatey. I craved it, it happened, and I’ve made it many times since. 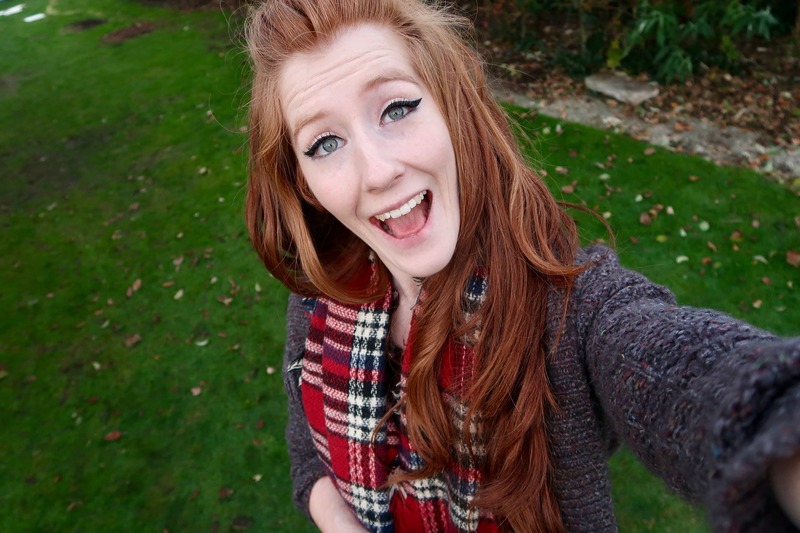 However, I realised that I hadn’t actually posted it onto this blog?! I just can’t work it out – I know it’s going to be well enjoyed by many. 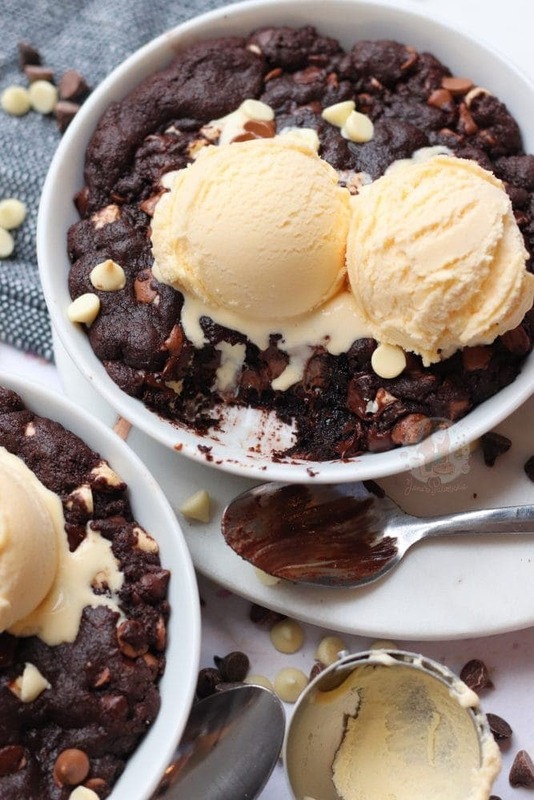 Gooey and delicious chocolate cookie dough desserts. I basically used the same recipe as my Individual Chocolate Chip Cookie Dough Desserts, but took out some of the flour, the cornflour and used the cocoa powder instead. 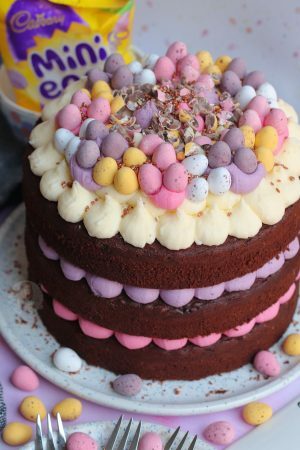 You don’t need the cornflour in this one, as the cocoa powder takes care of it as cocoa powder is quite drying. You can add some salt in as well, but its optional which is why I haven’t bothered putting it in the recipe. Also, half the time when I made it, I forgot to put it in! 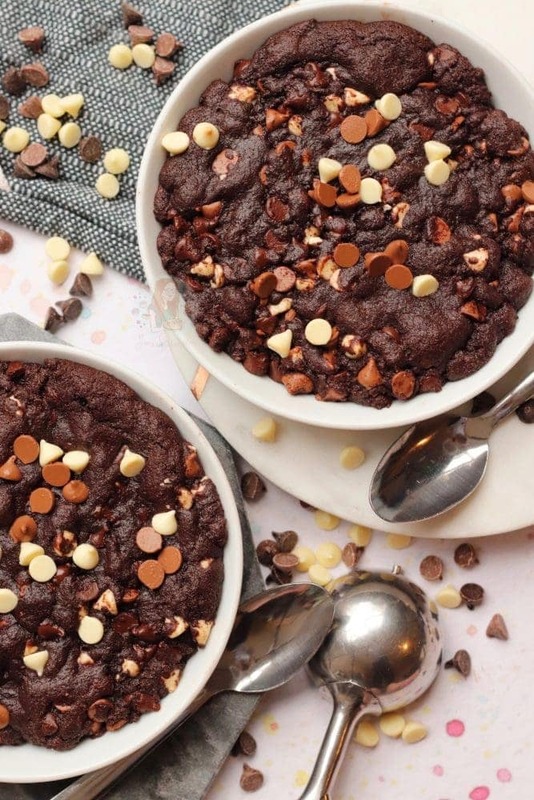 I used a mixture of White, Dark and Milk Chocolate chips in this recipe, along with the cocoa powder so technically is quadruple chocolate desserts – but triple chocolate just sounds catchier. You can easily use all white chocolate chips, all milk, or all dark – but try not to put toooo much in otherwise it probably won’t bake too well! Melt your butter, and add in the sugar. Whisk together for until the sugar has dissolved somewhat. Add the egg and the vanilla essence and mix well again. Add the flour, bicarbonate, cocoa powder and chocolate chips and mix well until it comes together to form a lovely thick cookie dough! Divide the mixture into 2 Creme Brûlée Dishes – but if you don’t have any then you can use small foil trays as well! Place the cookie dough in the oven for 12-15 minutes or until dry on top and just cooked through in the middle – the gooier the better! 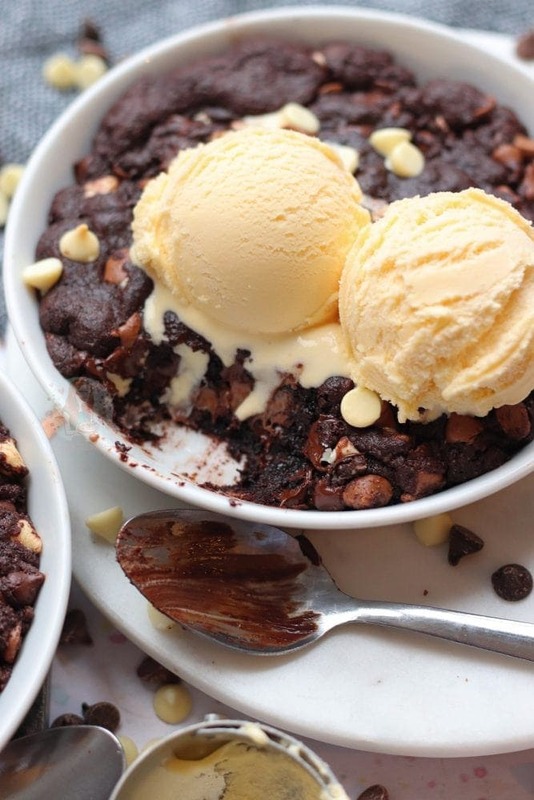 Remove from the oven and let it cool for a couple of minutes and then serve with a giant dollop of ice cream! 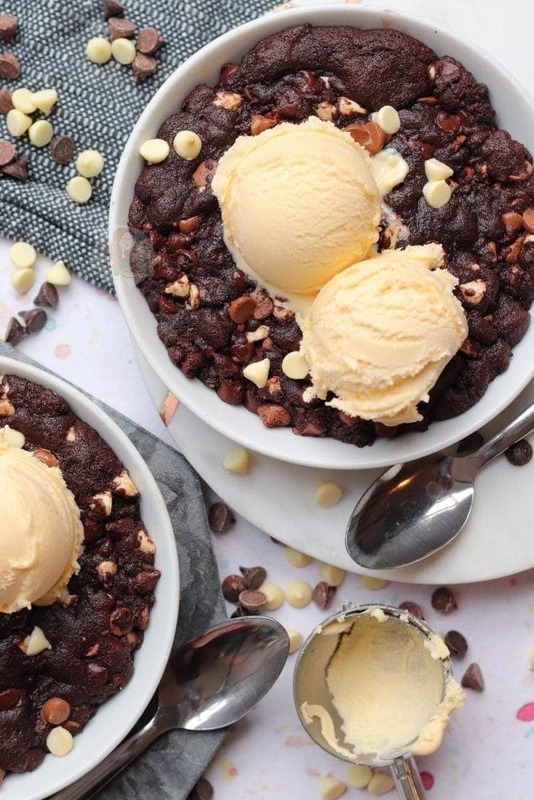 This beauty is inspired by my Individual Cookie Dough Desserts! 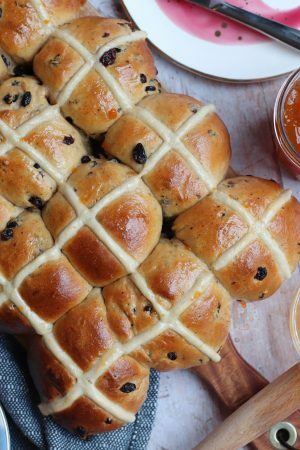 You can swap the sugar for granulated sugar! 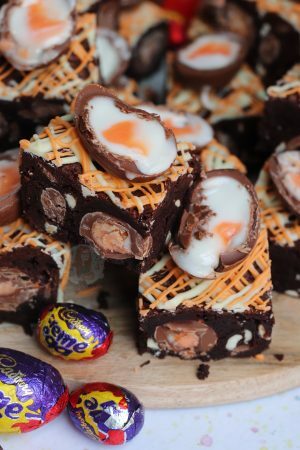 You can use all of one chocolate, or just two, etc! These are best served warm and fresh. You can easily double the recipe up to serve four! 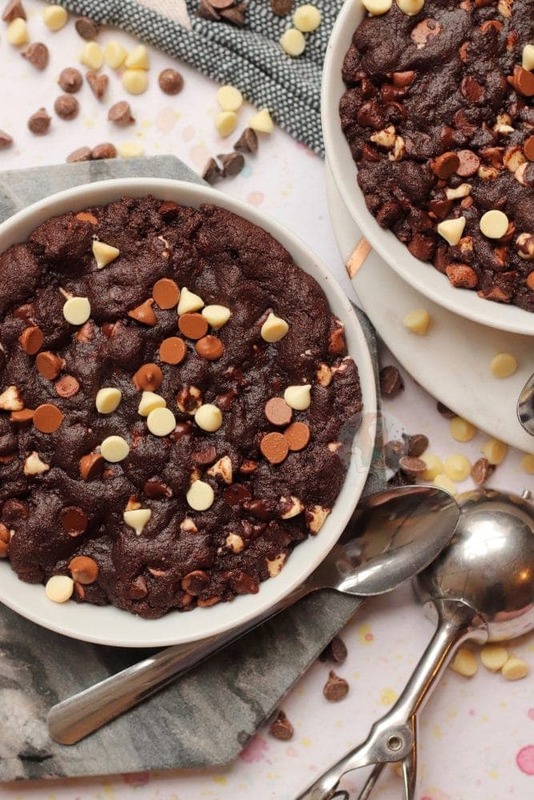 Older Next post: Vegan Brownies! Newer Previous post: Oreo Millionaires! Hi Jane can you use the quantities in this recipe for individual ramekins? If so what would be the cooking time? Thank you: love your posts! I would maybe make 4 if using ramekins, just to be safe! And cooking times I am a little unsure I am afraid! Hiya! No I don’t sorry!